Being a single parent during Thanksgiving can be challenging. But finding new traditions for your family and letting go of expectations is critical. 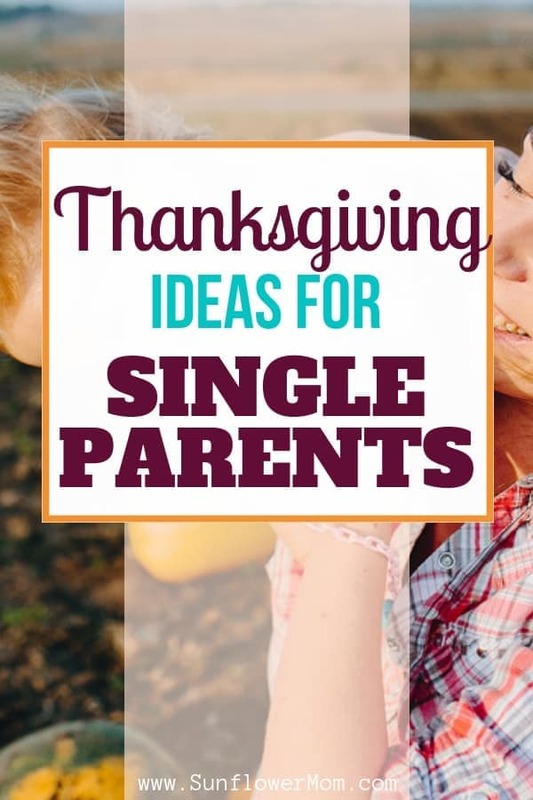 Check out these Thanksgiving ideas for the single parent. Let’s be honest. Being a single parent on any holiday is hard. Either you have a custody schedule where you split the holiday so you get the morning with your kids or you get the evening with your kids. Or you’re parent A (or parent B), so you don’t get to see your kids at all on Thanksgiving this year because it isn’t your holiday. Maybe you don’t have a custody agreement at all, and you have your children 24/7. Regardless of the situation, the pressure to prepare a special day for you and your kids all by yourself is daunting. Some holidays are easier for some people than others. A lot has to do with your background on the holidays. Perhaps growing up, your Thanksgiving memories are of watching the Macy’s parade with your parents, enjoying a huge feast, then playing football in the leaves with your cousins, then trying to recreate it now as a single mom without any family nearby can be depressing. Some of it has to do with how society builds the holidays up. We get time off from school and work to celebrate the holidays. Our kids discuss their plans for the upcoming holiday in school. Every commercial and TV show is revolving around the happy families celebrating these holidays. The pressure to follow the norm is real. But what if you’re alone on Thanksgiving? Give yourself a rest from social media. When you scroll through happy family families gathered around the huge table and #thankful posts it can bring you down. Social media may do you more harm than good. Get real. The fact is, we can never recreate our childhood Thanksgiving. And if we could, it bore our kids. Our kids don’t care about a big turkey on the table with a beautiful centerpiece, folded napkins, and 20 guests. 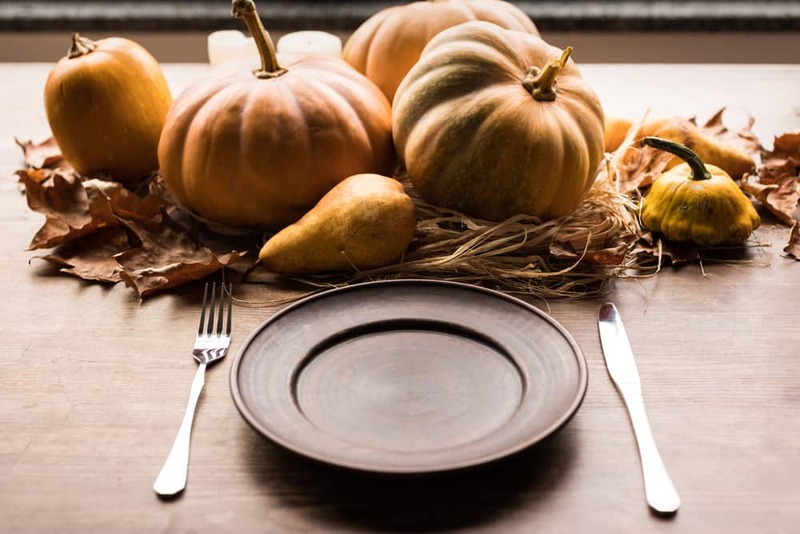 If you have your children this year for Thanksgiving but struggle to make it special due to financial reasons, or you have no family nearby, or this is your first year as a single parent, and you can’t “get into” the spirit, try some of these ideas out. If you want it to be memorable since it’s still Thanksgiving, give it a name. Thanksgiving 2018 Bryson Style (or whatever your child’s name is) and let him decide the day. Have a day where you’re Thankful for him. Let your child choose the meal and the entertainment. Serve Mexican or Italian food if that’s what your family likes. What’s the point of a 20-pound turkey and all those leftovers if no one will eat them? Buy all the traditional Thanksgiving food pre-cooked from the local grocery store. I did this last year. Pre-cook dinners are easy and not too expensive. You throw it all in the oven a couple of hours before you eat. Wake up early and have a game or movie extravaganza and stay in your pajamas all day. Get the kids super pumped about this beforehand. Have your child plan out the games/movies you will do and in which order. Write in what you will eat and where your breaks will be. Let your child be in charge and mark the day off as you go. If you don’t have to worry about being back for any other custody arrangements, then consider a mini-vacay like a water park. It is pretty much free from the holiday drama. When you’re in the waterpark itself, you can forget everyone else’s huge turkey dinner. Get the kids in the kitchen instead. Bake cookies with the kids and let them choose the menu. Maybe you’re alone this Thanksgiving, or splitting custody and will only see your kids for a few hours. Expand your definition of “family” and invite other friends who are in similar situations. You still do not have to cook – get all the fix-ins’ precooked from the grocery store. In this situation, it’s the community that matters, not the food. Consider it a self-care day. Maybe you want to sleep in, watch old Christmas movies, or sit in bed a read all day. Have a plan, so you don’t get depressed. Volunteer to serve Thanksgiving dinner. Sleep in and spend the afternoon in preparation for Black Friday shopping. Remember Thanksgiving is just another day on the calendar. You can always celebrate it the day or weekend before or not at all. Decorate your house for Christmas and surprise your kids when they come home with a Griswald style home. Let go of your expectations of what the holidays (and life) was supposed to look like can be the hardest part. I encourage you to focus on yourself and your kids this Thanksgiving. Not what the media tries to have us feel. Not how happy our Facebook friends appear to be. Yes, holidays as a single parent can be hard. But they don’t have to be all the time. Thanksgiving can be what you allow it to be. May your Thanksgiving be filled with joy, as a single, happy parent! Stay encouraged and join the Single Mom 5 Day Positivity Challenge. This post is part of a 7-month Single Moms series “Secrets of a Successful Life” by Single Mom Bloggers. Each month, multiple amazing single mom bloggers will be writing on different topics. I pray you will find encouragement, acceptance, and belonging amongst these brave women! Great ideas! It’s so easy to get stuck thinking that things should be a certain way. I love the traditions that you mentioned. They’re so easy to incorporate, fun, and will create lasting memories. I love the mini vacay idea!